The Duggar family, who are stars of TLC’s hit reality TV show, “19 Kids and Counting” were rocked by scandal recently when oldest child Josh Duggar revealed that he had molested at least 5 underage girls, some of which included his sisters. Josh has since apologized for his actions and the Duggar family reveals that the incident has brought them closer to God. However, a member of the Duggar family, who asked that we not reveal their identity, has revealed that what Josh did is still not as great as a sin as homosexuality. “The Bible speaks of great men who had relations with girls as young as 10 years old,” the Duggar family member said. 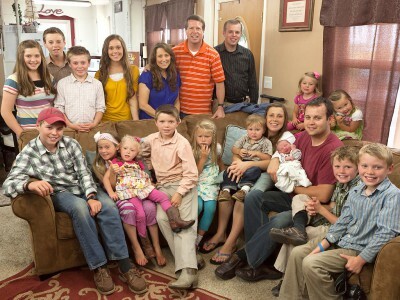 The Duggar family’s stance against gay marriage has been known for months. They have gone on record as saying that LGBT individuals are a threat to Christian family values and that marriage should be between a man and a woman. Josh Duggar is not facing any charges. Josh admitted to touching young girls when he was 14 years old. The incidents were not reported to police until 2006, and the statute of limitations has now long since passed. “That proves that God sees no sin in what Josh did,” the Duggar family member said. TLC has pulled “19 Kids and Counting” from its TV schedule. The network canceled “Here Comes Honey Boo-Boo” amid similar circumstances when Mama June started dating convicted child molester Mark McDaniel. Your Boyfriend or Your Dog?